A trustee has the authority to make investment decisions and must manage like a prudent investor. Decisions must be made as provided by the intent of the trust, by statute, and as required by the trustee's legal standards of care, the interests of the beneficiaries, and the Prudent Investor Rule. If you think there's been a financial mismanagement on the part of a fiduciary, click here. As an executor or trustee, you are charged with appropriately investing the funds under your stewardship and distributing them in accordance with the terms of the Will or trust. Some of the more repetitive or mechanical aspects of the distribution function, such as bill payment and automated distributions, can be performed by an estate planning law firm, usually at a lower cost and greater degree of attention than a busy fiduciary can provide. The trustee is subject to the Uniform Prudent Investor Act, unless the trust provides for a greater or lesser standard of care. 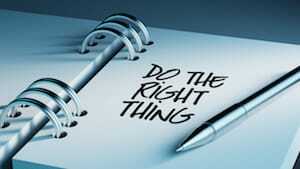 The trustee should carefully read the trust terms and the Uniform Prudent Investor Act. A trustee must invest and manage the trust assets as a prudent investor would, by considering the purposes, terms, distribution requirements, and other circumstances of the trust. The trustee must exercise reasonable care, skill, and caution. A trustee's investment and management decisions relating to individual assets and courses of action are evaluated in the context of the trust's portfolio as a whole and as a part of an overall investment strategy reasonably suited to the trust's risk and return objectives. Unless the trust states otherwise, the trustee has a duty to invest trust property for the benefit of the beneficiaries, subject to restrictions or limitations stated in the trust. The trustee's investment powers are provided by the terms of the trust. If not derived from the trust, the investment powers are also derived by statute, case law and the factual circumstances. Generally, the trustee has the duty to make trust assets economically productive. Locate and take possession of the trust assets, and develop an investment strategy suited to the purpose of the trust. Invest trust property, preserve it, and make it productive. Diversify the trust investments unless, under the circumstances, it is prudent not to do so. Consider the interests and needs of all beneficiaries, income and remainder, when making investment decisions. Make the trust property as productive as possible under the circumstances. Under the Uniform Prudent Investor Act, an asset may be productive either by producing income, or by appreciating in value. The beneficiaries may have conflicting interests. When two or more income beneficiaries have different personal income tax brackets, generally the trustee should strike a balance between them when determining how much to invest in certain assets. However, the trustee might be allowed to prefer one class of beneficiaries over another if the trust terms direct this can be a difficult area and cause litigation concerns. Trusts and estates are taxpayers, just like you, and must report items of income, gain, loss and expense. These entities must file a Form 1041 (unlike the form 1040 you file) each year at the federal and state level. Many accountants are not familiar with these forms, but we are and can file them for you.